Jeremy Irons playing dead might seem an odd choice of picture for the front cover of a visual effects journal. All becomes clear when you realise this is a still from David Cronenberg’s Dead Ringers, a film that both advanced the craft of split-screen ‘twinning’ and allowed its director to indulge his fascination with ‘body-horror’ makeup effects. 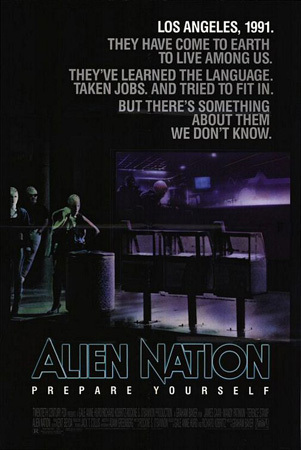 The back cover features one of the ‘Newcomer’ aliens from Graham Baker’s 1988 sci-fi/cop/buddy mashup Alien Nation. 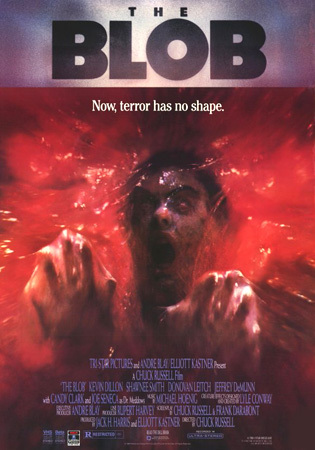 That’s both covers used up and still we’ve got two movies to go: John McTiernan’s classic action hit Die Hard and Chuck Russell’s forgotten B-movie reboot The Blob. That’s a lot to get through in just 68 pages. We’d better get started. ‘Be careful what you wish for.’ So the saying goes, and it pretty much sums up the trials of the prosthetics crew on mammoth makeup movie Alien Nation. The task of creating not just one or two alien creatures but an entire race fell on Alec Gillis, Shane Mahan, John Rosengrant and Tom Woodruff, working as a team under the Stan Winston Studios banner. But what comes through time and again is the sheer volume of work demanded by the show: some ninety sets of appliances were required for lead actor Mandy Patinkin alone, with each appliance requiring ‘at least seventy individual molds.’ Add to that the hundreds of background masks created for the film’s crowd scenes and you start to appreciate the slightly stunned tone of the team’s closing comments. Many of Edlund’s challenges involved blowing things up. For an iconic fireball-in-a-lift-shaft shot, that meant a forced-perspective miniature packed with pyrotechnic charges so toxic the cameras had to be operated remotely. ‘We did not know what we had for sure until we saw dailies the following morning,’ says Boss director of photography Bill Neil. 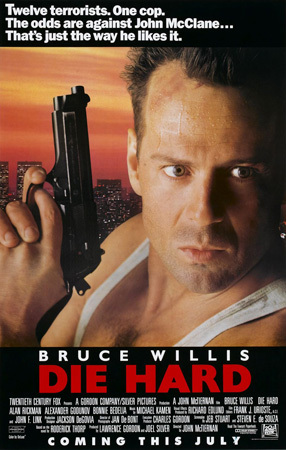 Even more seat-of-the-pants was a night shoot of a miniature helicopter exploding on a small-scale replica of the Nakatomi building. 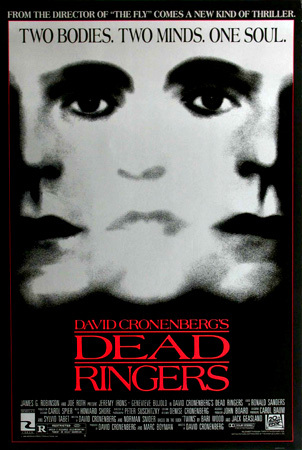 Dead Ringers is another movie that’s light on visual effects. This plays to Don Shay’s advantage, as it gives him time to dig deep into the challenging process of turning one actor into two. Shay describes Dead Ringers as ‘a dark and disturbing account of twin gynecologists bedeviled by drugs and shackled by a lifelong psychic bond.’ Director David Cronenberg and actor Jeremy Irons – playing the twin parts of Elliot and Beverly Mantle – offer insights into the thought processes behind both storytelling and performance. Meanwhile, optical effects supervisor Lee Wilson outlines the revolutionary ways in which motion control and moving split-screens allowed Irons to appear as two characters in the same frame, without limiting Cronenberg to using a locked-off camera. The specialised motion control camera dolly (operated by ‘your basic IBM-AT clone – a Compaq 286 – and some Tondreau software’) enabled Cronenberg to shoot Irons performing one character while using a camera move, then to repeat that move perfectly when Irons switched roles. Crucial to the whole process was a video playback system that provided instant replay along with a quick-and-dirty approximation of the split-screen effect. The playback also enabled Irons to hear the first half of his performance via a concealed earpiece, and react accordingly. 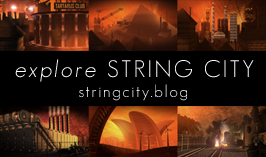 Shay deconstructs this process in considerable detail, making it clear that the quality of the work was as much down to the care and craft of the operators as it was to the equipment. The devil really was in the detail, and detail is what we get, from discussions of the noise issue raised by the servos on the camera to the excitement felt by the crew as they succeeded in their ambitious attempts to rack focus across the split line. If the first three articles in Cinefex #36 are examples of restraint, Robert G Pielke’s closing piece on the 1988 remake of The Blob is all-out mayhem. It’s also a good example of something we’ve seen time and again during this journey through the Cinefex archives: however skilled the team, if they don’t get the development time they need the visual effects are going to suffer. When it came to miniatures and opticals, Dream Quest Images fared rather better. Hoyt Yeatman’s breakdown of a wide range of miniature environments – augmented by the occasional matte painting – gives good insight into the kind of solid, reliable effects work that was Dream Quest’s bread-and-butter through the 1980s. Meanwhile, Tony Gardner’s gruesome makeup effects – including collapsing heads, snapping spines and general bodily meltdown – demonstrate both imagination and stoic resolve in the face of tight budgets and breakneck schedules. Overall this is a cheerful article about a joyfully goofy film. Phew! 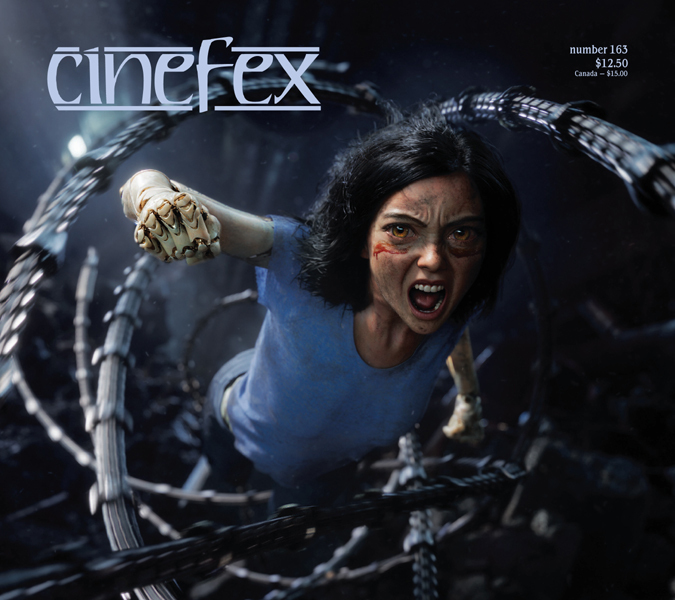 I reckon there’s just enough time for a whistlestop tour of my favourite pictures from this bumper issue of Cinefex. From Alien Nation, there’s a fine multi-photo set showing the step-by-step transformation of actor Kevyn Major Howard into alien drug czar William Harcourt. From Die Hard, there’s a behind-the-scenes shot of the truly enormous ‘miniature’ Nakatomi building standing tall in what looks like the Boss parking lot. The Dead Ringers article features another step-by-step breakdown, this one showing the various split-screen elements used to construct the shot of the twins lying draped together in death, alongside the final composite. And The Blob? It’s just packed with gore from start to finish. What else did you expect? Incidentally, if you’re hungry to actually see a few of the pictures from these early editions of Cinefex, head over to their Facebook page and take a look at the ongoing Remember When series of posts, in which one image is being published from each issue along with its original caption.